Careers for graduates: learn about KPMG Enterprise Deals Tax & Legal (DTL) SME services. 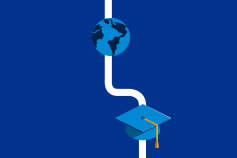 Careers for graduates: learn about KPMG Enterprise Deals Tax & Legal SME services. You know KPMG, you might not know KPMG Enterprise DTL. We’re dedicated to working with businesses from a wide range of industries, focusing on privately owned businesses. The key factor with Enterprise DTL is that both our clients and the services we offer to them are diverse. At a basic level we offer a mix of audit, advisory and tax services. Whether an entrepreneur looking to get started, an innovative, fast-growing company, or an established company looking to exit, we understand what is important and help our clients navigate these challenges. We are trusted advisers to our clients providing a local touch, but global reach. Enterprise DTL is a young, lively division. Our focus is on building strong client relationships and being the trusted adviser to our clients. As a result of this, we attract people we can trust and who we can put forward to the market to cultivate those relationships. What that translates to is a mix of enthusiastic and inclusive people who all have a passion for the work that we do. The team in Enterprise DTL is really approachable. Whether it is a junior team member or a partner, anyone is willing to spare time to help you if you’re stuck on a problem they can help with. The average day begins with a quick action plan on how to progress tasks for each our clients. All are at varying stages of completion on your work list. This evolves over the course of the day as you receive communications from your clients (both by phone call and email) alerting you of urgent situations that they need your assistance on. Suffice to say, the average day is never quite what you expect – you can guarantee it will always be interesting. You’ll learn how to manage a client engagement from start to finish (i.e. from the initial contact with the client and requesting information required, up until the final meeting with the client to deliver the output of the engagement). Your learning curve will be steep, but you’re supported the whole way. You’ll acquire the technical knowledge relating to the governing legislation and principles applying to tax, accounting and advisory engagements. You come to understand the tips and tricks that make use of technological efficiencies to manipulate large data as well as internal tasks involved in completing engagements. You’ll also hone your time management skills and your ability to manage competing tasks delegated to you from senior staff, managers and partners. You get to work on a broad range of clients that vary in size and operate in different industries, which allows you to develop a broad skillset early on in your career. After 2 years in the workforce, you’ll be comfortable attending client meetings, managing both junior and senior staff, and confident in your level of technical/theoretical knowledge to lead engagements. These skills are the result of both on-the-job learning experiences with a broad range of clients as well as learnings from the Chartered Accounting program run by the CAANZ.